Thanks for the question, David. I don’t pretend to have the financial numbers to determine if Disney can afford to change out their attractions seasonally. I can tell you that the reasoning behind it has far more to do with the demographics of the people who visit Disneyland in California are quite different than those that visit Walt Disney World in Florida. If you’ve ever spent a decent amount of time at the Disneyland Resort and Walt Disney World, you’ll notice the vibe is just plain different, from the Guests to Cast Members. Disney World is very rushed, people lose their temper more often and there is a lot more “pressure” on families to get the most out of their time. Disneyland, on the other hand, is much more laid back. You don’t see people rushing and trying to cram as much into their day. Disneyland is primarily made up of annual passholders, which means locals dominate the resort. They may drive in for a few hours every week or stay for a weekend every few months, but those passholders visit several times a year. Sure, there are those that fly in, stay at a resort, and their trip to Southern California is once every few years. 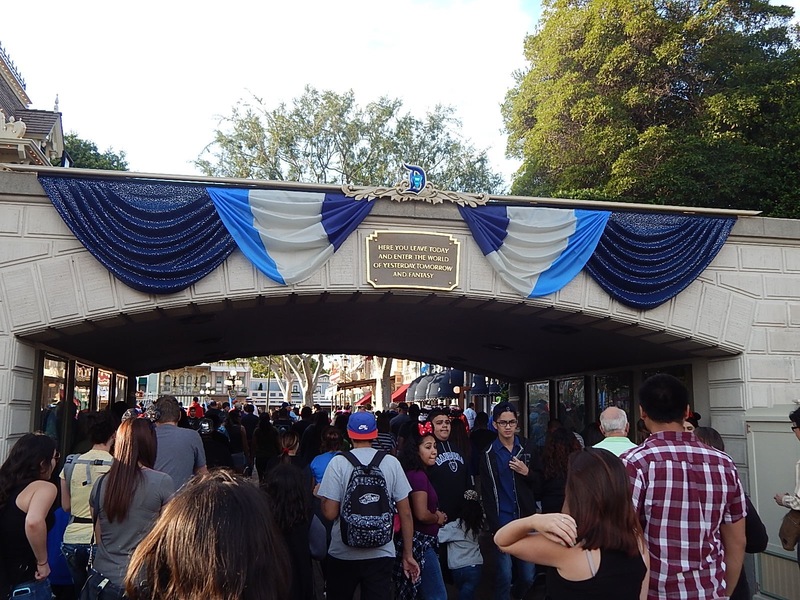 However, those visitors make up the minority of the people who visit Disneyland. Over in Orlando, the opposite is true. 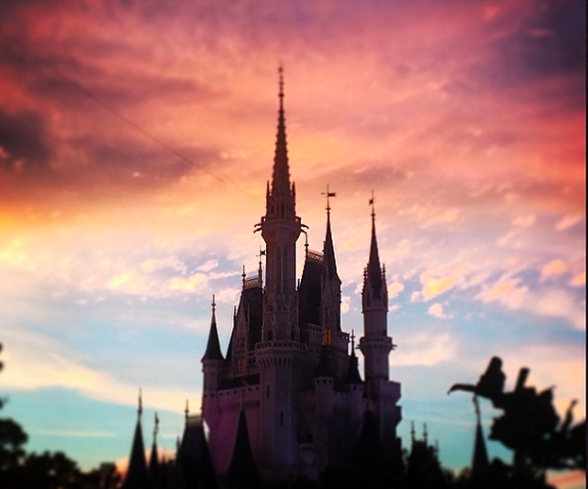 On average the majority of guests visit Central Florida roughly once every five years. This means the stakes are higher. They have paid for a flight, usually four-to-seven nights in a hotel, theme park tickets and meals. Expectations are higher because when you’re visiting a theme park every five years versus every few weeks or months, you need to cram in as much as possible and get the most bang for your buck. Which leads us to attraction closures. Those of you who have visited Disneyland in the off season know that the park will take several attractions down for refurbishment at one time. It’s not uncommon to see five or six E-ticket attractions closed at one time. In addition, shows like Fantasmic will not even play during the off season. 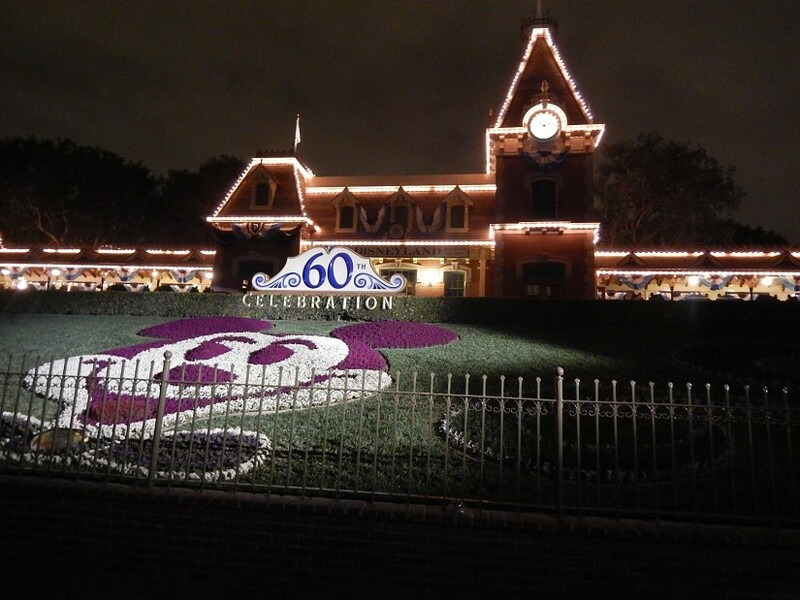 I’ve been to Disneyland several times where there aren’t even fireworks or a parade. n Walt Disney World, this is virtually unheard of. 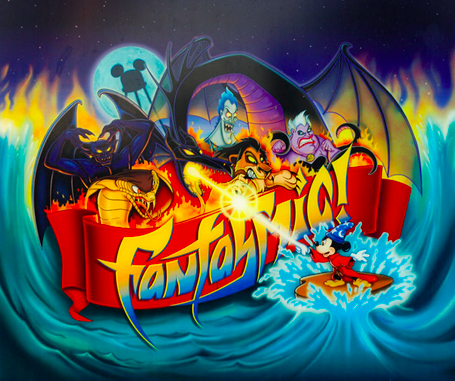 In 2010, Disney World cut Fantasmic performances down from seven nights a week down to only two. Guests were furious and they quickly returned to the seven day a week schedule within a few months. Why? The attendance at Disney’s Hollywood Studios dropped sharply in the evening on non-show nights where they would either leave the park, have dinner off property or park hop and make Epcot and the Magic Kingdom even more crowded for their night time offerings. When people come to Disney World, they expect more. They expect to see shows, parades and fireworks every night of their visit. 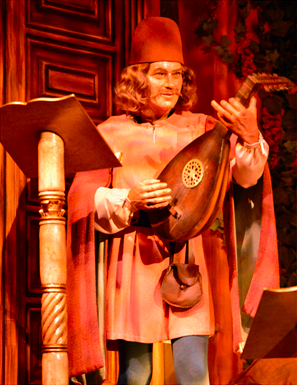 Higher expectations and higher pressures can also lead to higher anxiety all around for parents, kids and Cast Members. They also expect all attractions to be open, even though logistically, that is often not possible. Everything needs maintenance. Often times, the refurbishments done at Walt Disney World are more maintenance oriented and less cosmetic. Why? Cosmetic enhancements often take longer. The longer the attraction is down, the more upset Disney World Guests become. To an extent, this is unavoidable, but the sooner an attraction returns to operation, the better. This brings up another point about the cosmetic maintenance of Walt Disney World versus Disneyland I have seen all too often online. Without going into detail about specific items and I am not justifying “bad show” in any way, the expectations at Disney World are different. Look at it this way. Wherever you live right now, there is probably some blemish in your house or apartment that needs tending to. For sake of argument, let’s say it’s peeling paint. You see it every day and you know it needs to be touched up. It’s going to bother you far more than it will to an Aunt who comes to visit on Thanksgiving once every five years. She’s happier to see you than to notice (or care) about the peeling paint. I’ve seen several online rants about how Disney should be “ashamed” of themselves for an effect not working or chipped paint, but the reality becomes as an operator of any attraction (even outside of Disney) with elements of the ride not working (that wouldn’t cause harm to visitors), management has to make a decision and ask some tough questions: How many people will notice the effect not working? How many people might notice it, but would rather experience the entire ride with the effect not working? How many other attractions are currently closed in the park? How long will it take to fix and how many people does that mean won’t be able to ride? If it takes two hours to fix and your capacity is 2,000 Guests an hour, that means 4,000 guests that day can’t experience the attraction. 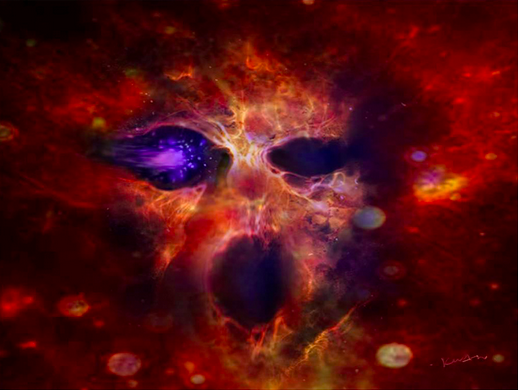 There are no right or wrong answers and everything is a judgement call. You might not agree with a ride staying open where an animatronic isn’t functioning because the show isn’t up to par, but the family who just flew in from Des Moines and won’t be back for several years might rather see the attraction with the blemish than not at all. Which may be fine for those in Disneyland who can come back a few weeks later or even tomorrow, but for someone visiting every five years? Those two hours might have been their only chance to visit that attraction. While you may not sympathize with them, I do and so do theme park operators. You may not agree with the decision to keep an attraction open with non-working effects (or even several), but it is not an easy decision. I’m also not saying that Disney, or any theme park, always makes the correct decision in keeping a ride running when there is “bad show,” but I do understand the reasoning. Which brings us to seasonal attractions. 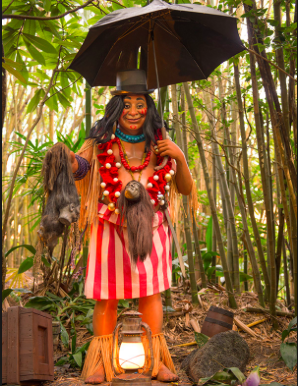 Generally speaking, to change small world or Haunted Mansion into the holiday version, the rides need to go down for roughly two weeks to change everything over. On the flip side, it takes about a week and a half to two weeks to swap it back to the original version. This is a total of about four weeks out of the year that neither version of the ride is available to paying customers, longer if you tack on an actual ride refurbishment to the down time. In Disneyland, the public understands and will most likely be back in a few weeks to see the attraction anyway. 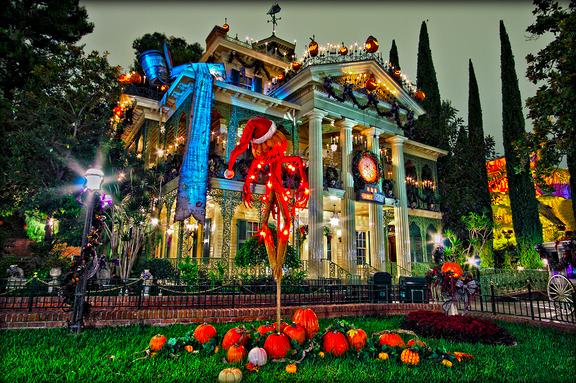 Plus it’s a draw to get people in the park to see Haunted Mansion Holiday on the West Coast. People will make a special trip out to the park to see it. On the flip side, most people who are coming to Walt Disney World and visit every few years will probably visit during the holidays regardless of seasonal attractions. It doesn’t make a lot of sense to that in Central Florida. I hope that answers your question, David. I know it’s not a pretty answer and certainly one many fans don’t agree with, but understanding the differences in how guests visit the parks on both coasts helps understand why operating them differently makes sense. Make sure to follow Theme Park University on Twitter and like our Facebook Page! Doing any online shopping? Click on any of the Amazon links on this page and it helps us pay the bills! Thanks! This entry was posted in Disney, Theme Parks 101 and tagged haunted mansion holiday, seasonal attractions, small world holiday, space mountain ghost galaxy. Bookmark the permalink. Trackbacks are closed, but you can post a comment. Of course that is impossible, but Disney World put themselves into the corner when the parks don’t have enough rides, attractions, and shows when one ride must be maintained. 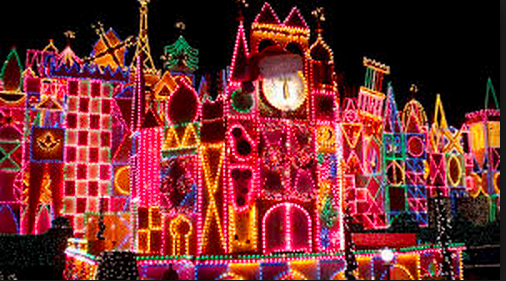 Disneyland Resort with 2 parks as the same number of rides as Disney World with 4 parks. When one ride goes down at Disney World, it becomes a lesser park. The solution is more rides, shows, and attractions to counter a closed ride or show. The next question is why don’t they add more rides, shows, and attractions? We’ll know soon enough. Excellent article Mr. Young. As annual passholders & DVC members, my wife & I get to visit The World a few time a year from Pennsylvania. There’s always at least one time on each trip where we feel bad for the guests that are visiting for the first time & an attraction is closed or not quite working right. Like our recent trip in June; no Pirates?! When we realized it would be closed I said, “Eh, we’ll just get it next time.” But the poor guests that are there & this may be their one big vacation of a lifetime. It makes us realize how very fortunate we are, & to make the most of every trip. My wife’s been to Disneyland many years ago; I’ve never been. We’re always jealous at Holiday time because we know what’s going on over there. Thanks to your article we have even more insight into planning ahead & keeping an eye on the closed attractions when we finally do make a trip west. Closed in Florida, no big deal. Closed in California? That would hurt! Thanks again.